Second place has been secured, spare yourself the misery of hoping every day that something miraculous will happen. Good attitude it is. It is the AFC-Tusker match that is the decider. Tusker wins it will be a case of too little too late. A draw or Ingwe win, we have the most excitingly tense final day in KPL history. Unlike 2012, it will not be two separate matches but one orgasmic final of finals. We need to fill Nyayo to the rafters, if that comes to pass. On the three points I thought we already appealed and the Tribunal threw out our case. Maybe FIFA arbitration can assist but we might be asked to say what we did about the pitch invasion as a club. Did we apprehend the steward? To me this is a BIG lesson to us. However provoked we are the moment we take the law into our hands we end up being the losers. This happens even in normal law, slaughtering someone’s cow because it trespassed into your compound is taking the law into your own hands. All we can do now is to pray that the gods of soccer have us in their plans and we win this league. If we don’t then we still have the CECAFA to play for. With the new regime in power the best we can do is to follow the laws else we can as well interfere with the rhythm of the team. Guys, we might not like Nick but he is currently in charge and his EC is not Gor-friendly so we should not start too many battles which we cannot afford to fight. Just like we ensured that the former regime had a soft spot for us we can do likewise. Remember we are just one of the many teams playing soccer in the country, though the most successful. If by chance Tusker takes it the best we can do is to congratulate them, pick out our mistakes and win it next year. Wapi jo ndhiwa……. You are now needed very urgently in Chingwe vs Brewkenge like never b4. Tusker has to concede an own goal. Dreams are valid however impossible they are…….next season is around the corner. Plan well the way AFC is doing. We are focusing too much on the AFC -Tusker game ignoring that we have a match against Muhoroni. AFC could beat Tusker but if we do not beat Muhoroni, then again that will be the end game. Are we beating Muhoroni? And it is on Saturday, a day ahead of the Tusker- Ingwe match. Aaaah yaye jondhiwa , where are you? Jondhiwa are here. Tusker must run out of luck against Efusi. Still hoping and believing that west just nick it at the end. 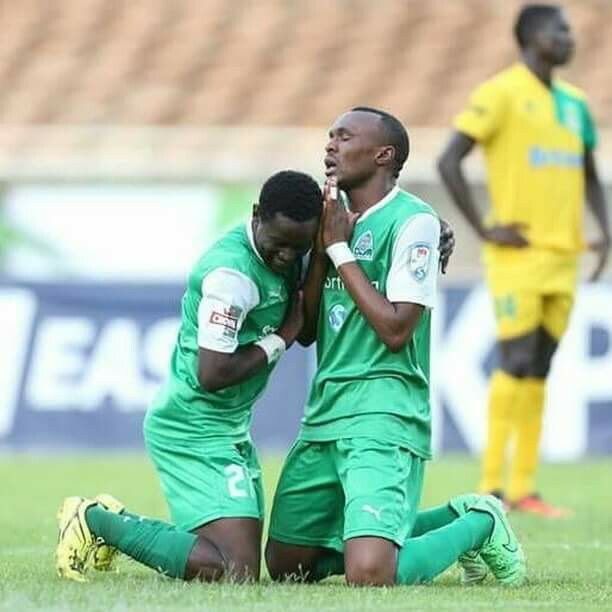 The likes of Jakoyo belongs to a generation long forgotten in Gor Mahia. Good luck Kogalo.